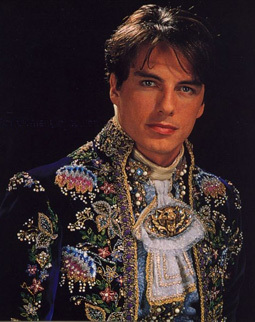 Following the success of Putting It Together in Los Angeles, John returned to the UK to star as the Beast in Disney's stage adaptation of their animated film, Beauty And The Beast. 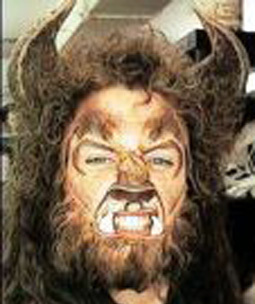 Interviewed for the UK theatre magazine, Musical Stages (Summer 1999), John revealed how he was originally considered to take over the role of The Beast on Broadway, but the producers felt he was too young. "I'm a firm believer that unless a role calls specifically for a fifty-year-old, actors should be given a chance to play around their true ages. Trevor [Nunn] and Andrew [Lloyd Webber] both took a chance with me for Sunset. Cameron [Mackintosh] did for Miss Saigon. 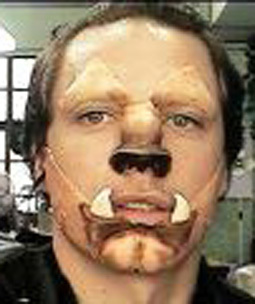 I've auditioned for Beauty and The Beast about four times and I was always 'too young'. Finally they saw me playing a more mature man in Putting It Together. I looked as if I were in my mid-thirties, which I am not, let me make clear! So I have the Beast's fantastic song to sing and I wanted to do it so I'm glad they finally came to me."